Location in Davis County and the state of Utah. Bountiful is a city in Davis County, Utah, United States. As of the 2010 census, the city population was 42,552, a three percent increase over the 2000 figure of 41,301. 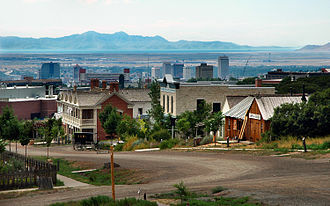 The city grew rapidly during the suburb growth of the late 1940s, 1950s, and 1960s and was Davis County's largest city until 1985 when it was surpassed by Layton. Bountiful is Utah's 15th largest city. Although a part of the Ogden-Clearfield Metropolitan Statistical Area, it serves as a bedroom community to Salt Lake City and the surrounding area. However, due to the very narrow entrance into Salt Lake County, roads between the counties often reach near-gridlock traffic during rush hour. The FrontRunner commuter rail has been running since April 2008, and the Legacy Parkway was opened on September 13, 2008. These were built to help alleviate the traffic load on Interstate 15 through the Bountiful area. A home in Bountiful's Historic District. Bountiful was settled on September 27, 1847, by Perrigrine Sessions and his family. It was Utah's second settlement after Salt Lake City. 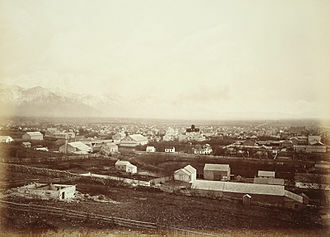 It was known as both Sessions Settlement and North Canyon Ward before being named Bountiful in 1855. 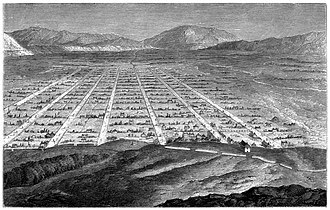 This city was so named both because of the city's reputation as a garden place and because "Bountiful" is the name of a city in the Book of Mormon (Alma 52:9). Most of the settlers, and also most of the present inhabitants, are members of The Church of Jesus Christ of Latter-day Saints (LDS). 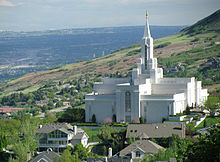 The Bountiful Utah Temple was dedicated in 1995 by the LDS Church. A tabernacle of The Church of Jesus Christ of Latter-day Saints is also located in Bountiful. 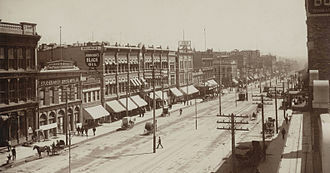 The city was incorporated in 1892 with Joseph L Holbrook as mayor. In 1907 electric lights came to Bountiful through the efforts of its citizens. Notorious serial killer Ted Bundy snatched victim Debra Kent from Viewmont High School in Bountiful on November 8, 1974. The city maintains a charming Main Street, with several locally owned shops, and is home to several big-box retailers. The city celebrates its history at the annual Handcart Days celebration every July in conjunction with U.S. State of Utah's official holiday, Pioneer Day. Bountiful Handcart Days is a volunteer–driven event. People from three cities in the south of Davis County, Utah come together to commemorate the first group of Mormon Pioneers’ entry into the Salt Lake Valley on July 24, 1847. The festivities include a parade, fireworks, games, entertainment, an art exhibit, and food. According to the United States Census Bureau, the city has a total area of 13.5 square miles (34.9 km²), all of it land. The original portion of the city and downtown are located at the base of the Wasatch Range, which rises high to the east, overlooking the city. Most of the residential neighborhoods climb high up the slopes of the mountain. To the west lies a flatland that extends to the Great Salt Lake and the mudflats and marshes that border it. Areas of Bountiful include Val Verda in the southern part of the city. The cities surrounding Bountiful include: North Salt Lake to the south, Woods Cross and West Bountiful to the west, and Centerville to the north. Most land to the east of Bountiful is U.S. Forest Service property. This climatic region is typified by large seasonal temperature differences, with warm to hot (and often humid) summers and cold (sometimes severely cold) winters. According to the Köppen Climate Classification system, Bountiful has a humid continental climate, abbreviated "Dfb" on climate maps. According to estimates from the U.S. Census Bureau, as of 2016, there were 44,708 people in Bountiful. The racial makeup of the county was 89.5% non-Hispanic White, 0.4% Black, 0.4% Native American, 1.4% Asian, and 2.1% from two or more races. 6.4% of the population were Hispanic or Latino of any race. 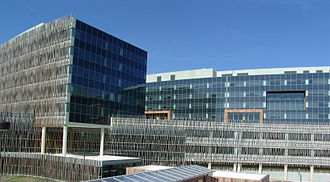 Lakeview Hospital is a hospital located in Bountiful. ^ Van Atta, Dale (January 22, 1977). "You name it - there's a town for it". The Deseret News. p. 15. Retrieved October 18, 2015. ^ "Bountiful City History". Retrieved January 9, 2018. 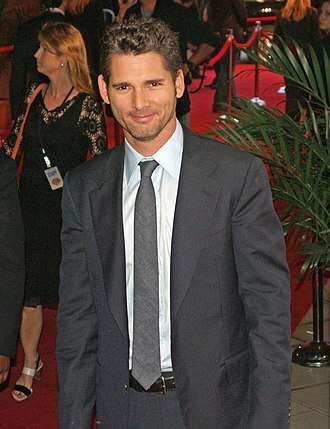 ^ Edwards, Alan (May 29, 1996). "Val Verda Still Goes Its Own Way". Deseret News. Retrieved January 9, 2018. ^ "Climate Summary for Bountiful, Utah". Retrieved January 9, 2018. ^ "Population and Housing Unit Estimates". Retrieved January 9, 2018. ^ a b Davis School Districts Retrieved January 9, 2018. ^ Argyle, Bruce. "Website Editor". Retrieved January 1, 2014. ^ a b Joe Krein, Pat Priest Interview Elvis2001.net. Retrieved January 9, 2018. Wikimedia Commons has media related to Bountiful, Utah. Davis County is a county located in the U. S. state of Utah. As of the 2010 census, the population was 306,479 and its county seat is Farmington, and its largest city is Layton. The county was created in 1850 and was named for Daniel C, captain in the Mormon Battalion. Davis County is part of the Ogden-Clearfield, UT Metropolitan Statistical Area as well as the Salt Lake City-Provo-Orem, during its first 50 years, Davis County grew slowly. With the advent of the Utah Central Rail Road in 1870, a transition to mechanized agriculture and a surge of commerce, improved roads, new water systems, However, by 1940, the population was barely 16,000. With the establishment of Hill Air Force Base in northern Davis County, the county doubled in population between 1940 and 1950, and doubled again between 1950 and 1960 as part of the nationwide suburb boom that was occurring at the time. By 1990 there were 188,000 residents, and in 2000, by 2030, the county is expected to have a population of about 360,000. According to the U. S. Census Bureau, the county has an area of 634 square miles. It is the smallest county in Utah by land area and second smallest by total area. The county lies generally between the Great Salt Lake on the west and the Wasatch Range on the east, which rises to a height of 9,707 feet in the county at Thurston Peak, Davis County includes Antelope Island, which is the largest island in the lake. The entire island is a park, designated to protect natural scenery and especially wildlife on the island, which includes bighorn sheep, pronghorn. The populated portion that lies between the Great Salt Lake and the Wasatch Range belongs to the Wasatch Front, a stretch of land that restricts north-south transportation in the county. Salt Lake County Morgan County Weber County Box Elder County Tooele County Davis County lies in a climate zone. Snow is frequent during winter, with up to 90 in annually on high areas in the east. Annual precipitation averages between 18 and 25 inches in the county, with spring being the wettest season and summer the driest, summers are hot, with several days each year averaging above 95 °F. Woods Cross is a city in Davis County, United States. 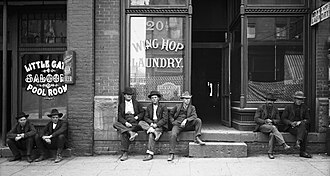 It is part of the Ogden–Clearfield, Utah Metropolitan Statistical Area, the population was 9,761 as of the 2010 census, with an estimated population in 2014 of 11,097. Woods Cross is named after Daniel Wood, an early settler, Woods Cross is in southeastern Davis County, bordered to the north by West Bountiful, to the east by Bountiful, and to the south by the city of North Salt Lake. According to the United States Census Bureau, Woods Cross has an area of 3.9 square miles. As of 2009 estimates, there were 8,888 people,1,936 households, the population density was 1,783.2 people per square mile. There were 2,021 housing units at a density of 561.4 per square mile. The racial makeup of the city was 93. 75% White,0. 44% African American,0. 25% Native American,0. 70% Asian,0. 26% Pacific Islander,2. 55% from other races, and 2. 04% from two or more races. Hispanic or Latino of any race were 5. 72% of the population,13. 3% of all households were made up of individuals and 2. 6% had someone living alone who was 65 years of age or older. At the time of the ceasefire and planning of the exodus in 1846, the territory was owned by the Republic of Mexico, which soon after went to war with the United States over the annexation of Texas. Salt Lake Valley became American territory as a result of this war and these and other reasons caused the body of the Church to move from one place to another--to Ohio, and to Illinois, where church members built the city of Nauvoo. Sidney Rigdon was the First Counselor in the LDS First Presidency, and as its spokesman, Rigdon preached several sermons in Missouri, including the Salt Sermon. These speeches have sometimes seen as contributing to the conflict known as the 1838 Mormon War in Missouri. As a result of the conflict, the Mormons were expelled from the state by Governor Boggs, Rigdon was released on a writ of habeas corpus and made his way to Illinois, where he joined the main body of Mormon refugees in 1839. In 1844 Joseph Smith, and his brother Hyrum Smith were killed by a mob while in custody in the city of Carthage, in 1846, religious tensions reached their peak, and in 1848 mobs burned the Latter-day Saint temple in Nauvoo. During the winter of 1846-47, Latter-day Saint leaders in Winter Quarters and Iowa laid plans for the migration of the number of Saints, their equipment. It was here that Brigham Young first met Thomas L. Kane, Kane obtained permission for the Mormons to winter on Indian territory, and the site was originally called Kanesville. Brigham Young continued to trust Kane throughout his own lifetime, particularly as an intermediary with the often hostile Federal government and this major undertaking was a significant test of leadership capability and the existing administrative network of the recently restructured Church. For his role in the migration, Brigham Young is sometimes referred to as the American Moses. The wary Young insisted the Mormons should settle in a no one else wanted. The initial company would select and break the trail with the expectation that pioneers would maintain. It was hoped that the group could, wherever possible, establish fords and ferries, in late February, plans were made to gather portable boats, scientific instruments, farm implements and seeds. It was first published in March 1830 by Joseph Smith as The Book of Mormon, An Account Written by the Hand of Mormon upon Plates Taken from the Plates of Nephi. According to Smiths account and the narrative, the Book of Mormon was originally written in otherwise unknown characters referred to as reformed Egyptian engraved on golden plates. 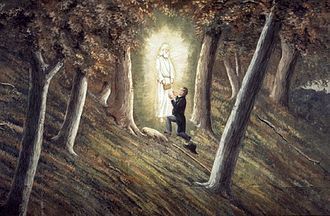 Critics claim that it was fabricated by Smith, drawing on material, the pivotal event of the book is an appearance of Jesus Christ in the Americas shortly after his resurrection. The Book of Mormon is divided into books, titled after the individuals named as primary authors and, in most versions, divided into chapters. It is written in English very similar to the Early Modern English linguistic style of the King James Version of the Bible, as of 2011, more than 150 million copies of the Book of Mormon have been published. The writings were said to describe a people whom God had led from Jerusalem to the Western hemisphere 600 years before Jesus birth. 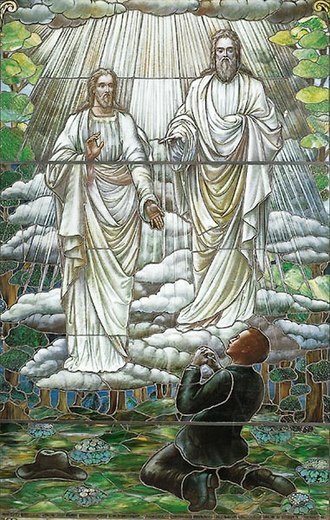 According to the narrative, Moroni was the last prophet among these people and had buried the record, which God had promised to bring forth in the latter days. e.
Smiths description of these events recounts that he was allowed to take the plates on September 22,1827, exactly four years from that date, accounts vary of the way in which Smith dictated the Book of Mormon. Smith himself implied that he read the plates directly using spectacles prepared for the purpose of translating, other accounts variously state that he used one or more seer stones placed in a top hat. Both the special spectacles and the stone were at times referred to as the Urim and Thummim. During the translating process itself, Smith sometimes separated himself from his scribe with a blanket between them, the plates were not always present during the translating process and, when present, they were always covered up. Smiths first published description of the said that the plates had the appearance of gold. They were described by Martin Harris, one of Smiths early scribes, Smith called the engraved writing on the plates reformed Egyptian. 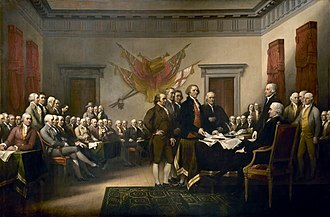 A portion of the text on the plates was sealed according to his account, in addition to Smiths account regarding the plates, eleven others stated that they saw the golden plates and, in some cases, handled them. 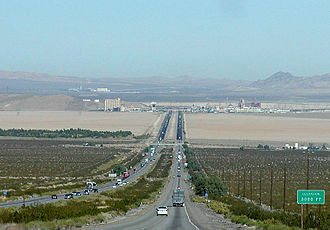 Interstate 15 is a major Interstate Highway in the western United States. I-15 begins near the Mexico–US border in San Diego County and stretches north to Alberta, passing through the states of California, Arizona, Utah and Montana. The interstate serves the cities of San Diego, Las Vegas, St. George, Salt Lake City and Butte. It passes close to the areas of Orange County, Los Angeles County, Provo, Ogden, Utah. The stretches of Interstate 15 in Idaho and Arizona have been designated as the Veterans Memorial Highway, since its creation, I-15 has served as a long-haul route for North American commerce. Also since the construction of I-15, Nevada, as a result, the route of I-15 has substantially increased in population and commuter traffic. The northern terminus is in Sweet Grass, Montana, at the Canada–US border and it is 1,433 miles long from San Diego to Sweet Grass. North of its junction with the Riverside Freeway, State Route 91, in the Inland Empire near Corona, the route roughly follows the former routes of State Route 31. North of Devore, the highway follows the alignment of historic U. S. Highway 66 along with U. S. Highway 91. U. S.395 breaks away at Hesperia and the route continues on a path to Barstow 35 miles to the north. Meanwhile, the old alignments of U. S.91, at that point, I-15 follows the old route of U. S.91 exclusively as U. S.66 turned east toward Needles. For many parts of the highway, high-voltage power lines, such as Path 46 and Path 27, almost all originating from the Hoover Dam, many of these link distant power stations to the Los Angeles metropolitan area. The southern starting point of Interstate 15 was in 1947 planned to be in San Bernardino and this was logical as I-15 was following the old alignment of the historic Route 66 which passed through San Bernardino. But in 1964, legislation was passed to extend the interstate to San Diego. This segments alignment is generally northeast to southwest for about 15 miles, then, in Fontana/Rancho Cucamonga, its directional alignment shifts to north–south where it eventually junctions with Interstate 10. North Salt Lake is a city in Davis County, United States. It is part of the Ogden–Clearfield, Utah Metropolitan Statistical Area, the population was 16,322 at the 2010 census, which had risen to an estimated 19,193 as of 2014. North Salt Lake is located in southern Davis County, it is bordered to the north by Woods Cross, to the northeast by Bountiful, and to the south by Salt Lake City in Salt Lake County. According to the United States Census Bureau, North Salt Lake has an area of 22.2 square kilometres, of which 0.1 square miles. 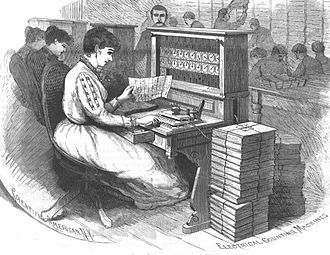 As of the census of 2000, there were 8,749 people,2,874 households, the population density was 1,060.7 people per square mile. 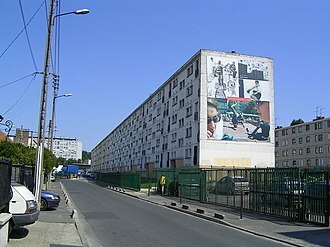 There were 3,022 housing units at a density of 366.4 per square mile. The racial makeup of the city was 92. 60% White,0. 31% African American,1. 01% Native American,1. 50% Asian,0. 42% Pacific Islander,2. 40% from other races, and 1. 76% from two or more races. Hispanic or Latino of any race were 6. 36% of the population,16. 7% of all households were made up of individuals and 5. 4% had someone living alone who was 65 years of age or older. The Great Salt Lake, located in the northern part of the U. S. state of Utah, is the largest salt water lake in the Western Hemisphere, and the eighth-largest terminal lake in the world. In an average year the lake covers an area of around 1,700 square miles, for instance, in 1963 it reached its lowest recorded size at 950 square miles, but in 1988 the surface area was at the historic high of 3,300 square miles. In terms of area, it is the largest lake in the United States that is not part of the Great Lakes region. The lake is the largest remnant of Lake Bonneville, a prehistoric lake that once covered much of western Utah. The three major tributaries to the lake, the Jordan and Bear rivers together deposit around 1.1 million tons of minerals in the each year. As it is endorheic, it has very high salinity, far saltier than seawater, which makes swimming similar to floating and its shallow, warm waters cause frequent, sometimes heavy lake-effect snows from late fall through spring. The Great Salt Lake is a remnant of a larger prehistoric lake called Lake Bonneville. At its greatest extent, Lake Bonneville spanned 22,400 square miles, nearly as large as present-day Lake Michigan, and roughly ten times the area of the Great Salt Lake today. Bonneville reached 923 ft at its deepest point, and covered much of present-day Utah and small portions of Idaho, Lake Bonneville existed until about 16,800 years ago, when a large portion of the lake was released through the Red Rock Pass in Idaho. 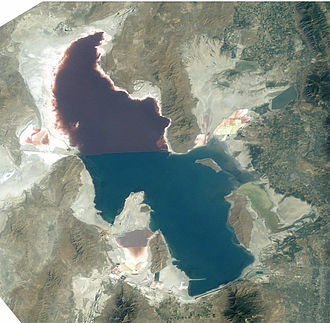 With the warming climate, the lake began to dry, leaving the Great Salt Lake, Utah Lake, Sevier Lake. While the lake was known by local Native Americans, it entered written history through the records of Silvestre Vélez de Escalante. No name was given to it at the time, and it was not shown on the map by Bernardo Miera y Pacheco, in 1824, it was observed, apparently independently, by Jim Bridger and Etienne Provost. Shortly thereafter other trappers saw it and walked around it, most of the trappers, were illiterate and did not record their discoveries. As oral reports of their findings made their way to those who did make records, Escalante had been on the shores of Utah Lake, which he named Laguna Timpanogos. Legacy Parkway is an 11. 5-mile-long four-lane controlled-access parkway located almost completely within Davis County in the northern part of the U. S. state of Utah. Construction began in 2006 and was completed in 2008, with the opening in September of the same year. In addition to the restrictions on speed and trucks, the road was reduced from an expressway to a four-lane parkway. On average, between 20,000 and 23,000 vehicles use the parkway daily, the parkway begins at an incomplete interchange with I-215 in extreme northern Salt Lake County near the Jordan River Off-Highway Vehicle State Recreation Area. The interchange allows motorists from the Interstate to transfer onto Legacy Parkway, after about 1⁄4 mile, Legacy Parkway enters Davis County, and heads northerly with two lanes in each direction through semi-rural Woods Cross. The parkway turns northeasterly and back again, meeting 500 South at a diamond interchange. 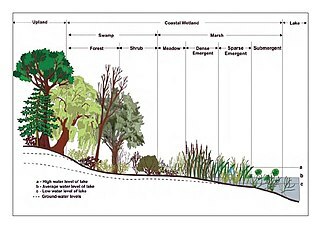 The eastern border of the Legacy Nature Preserve is formed by the parkway as it travels north, in West Bountiful, the parkway curves to the northeast as it follows the contour of the wetlands which lie on the western side of the road. Before reverting to its northerly direction, the route intersects Parrish Lane at another diamond interchange. 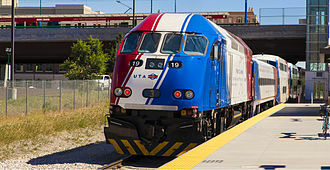 Past the intersection, Union Pacific and Utah Transit Authority railroad tracks run between the parkway and I-15 to the east, for the remainder of the parkways length, I-15 is located approximately 300 feet east. Upon entering Farmington, the parkway gains one lane in each direction and terminates at a triple-junction with I-15, SR-225 and this interchange is referred to as the Wasatch Weave. Many of the features were specially-designed to give the parkway a unique feel. There are a total of 2,225 acres of protected areas to the west of the highway, the Legacy Nature Preserve lays along the western border of the parkway near its southern terminus. Further north, the parkway forms much of the border of the Farmington Bay Waterfowl Management Area. For the entirety of the length it is paralleled by the Legacy Parkway Trail. Every year, the Utah Department of Transportation conducts a series of surveys on its highways in the state to measure traffic volume and this is expressed in terms of average annual daily traffic, a measure of traffic volume for any average day of the year. Nassau County, Long Island is emblematic of continuous sprawl in an inner suburb of New York City. Terraced houses in Upper Darby, Pennsylvania, an inner-ring suburb of Philadelphia. A suburban neighborhood of tract housing within the City of Colorado Springs, Colorado, United States; cul-de-sacs are hallmarks of suburban planning. American Fork Station passenger platform. Front Runner crossing West Gentile in Layton, Utah. I-15 passes through the Virgin River Gorge, Arizona revealing scenic reddish brown cliffs. A depiction of Joseph Smith dictating the Book of Mormon through the use of a seer stone placed in a hat to block out light. The Wasatch Mountains in the fall. Squaw Mountain over Rock Canyon at sunset as seen from the campus of Brigham Young University in Provo. Satellite photo from August 2003 after five years of drought, reaching near-record lows. Note the difference in colors between the northern and southern portions of the lake, the result of a railroad causeway. Sunset viewed from White Rock Bay, on the western shore of Antelope Island. Carrington Island is visible in the distance. This painting by Duncan McFarlane, shows the ship Brooklyn off Skerries Reef, which is off the north coast of Anglesey, North Wales. Mudflats in Brewster, Massachusetts, United States, extending hundreds of yards offshore at the low tide. The line of seashells in the foreground indicates the high-water mark. Gulls feeding on mudflats in Skagit Bay, Washington. Traffic gridlock in Miami, Florida. Lights are green but backups fill all the space. The interior of the Salt Lake Tabernacle as decorated for the Deseret Sunday School Union's July 1875 Pioneer Day celebration.